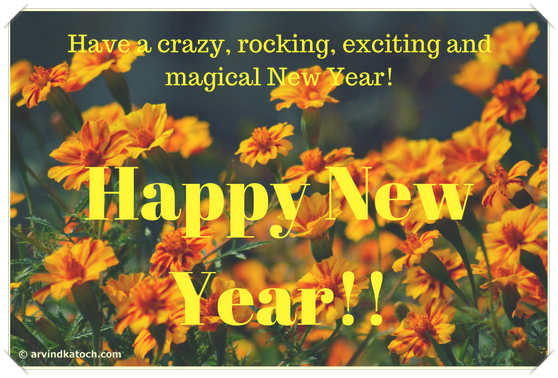 "Have a crazy, rocking, exciting and magical New Year! Happy New Year!!" New Year Card Description- Here is a special new year card with background pictures of marigold flowers and a beautiful message. You are not only sending a beautiful new year card but also a bouquet of flowers.